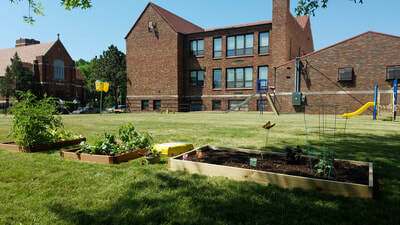 Through a combination of computer modeling and community participatory mapping, a total of ~14 acres are in the process of conversion from vacant and abandoned buildings and lots to community open spaces (the Green Space Focus Area). These 14 acres represent just 12.5% of all the vacant land in Walnut Park East, but by focusing efforts (demolitions, green space creation, vacant building stabilization, art, dumping removals) on a concentrated area, Coalition partners and members hope to have a significant impact on quality of life, property values, safety, and illegal dumping in this focus area. Twenty-seven LRA-owned vacant and abandoned buildings have been demolished in the Green Space Focus Area, and another 78 vacant, abandoned, and condemned buildings are being demolished in areas surrounding the focus area and within 500 feet of Walnut Park's schools. Long term green space plans are still under development, and are being guided by community projects like the ones described below. Students and faculty at Northwest Academy of Law & Social Justice have been working to reimagine the vacancy surrounding Northwest Academy and Carter Park, as part of their There ARE Children Here campaign. Students engaged in participatory mapping to help define the neighborhood's green space focus area (October 2017), followed by the creation of designs for the repurposing of vacancy near the school (January 2018). The Missouri Department of Conservation is working with the City and the school to pursue grants to bring these plans to life. In April 2018, students worked with the City's Building Division to paint the board-ups for 11 vacant and abandoned buildings surrounding the school and park. 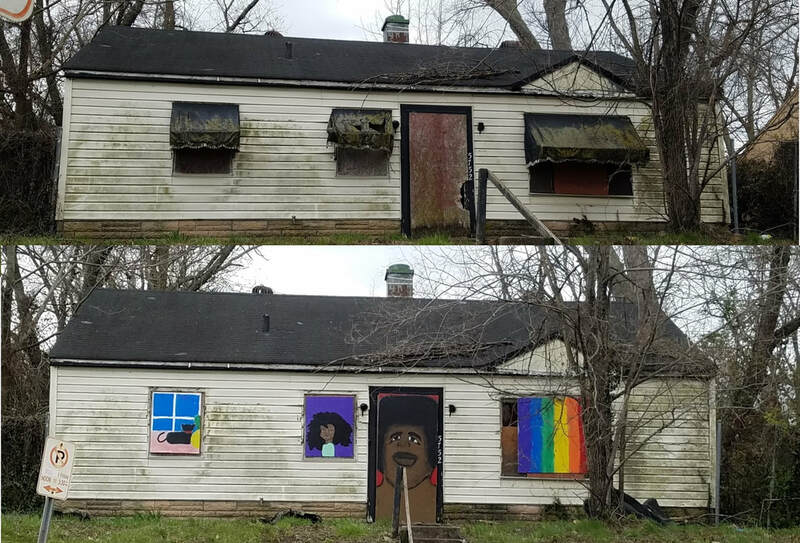 Before and after photo of a vacant building on Lilian Avenue - paintings by students at Northwest Academy of Law. 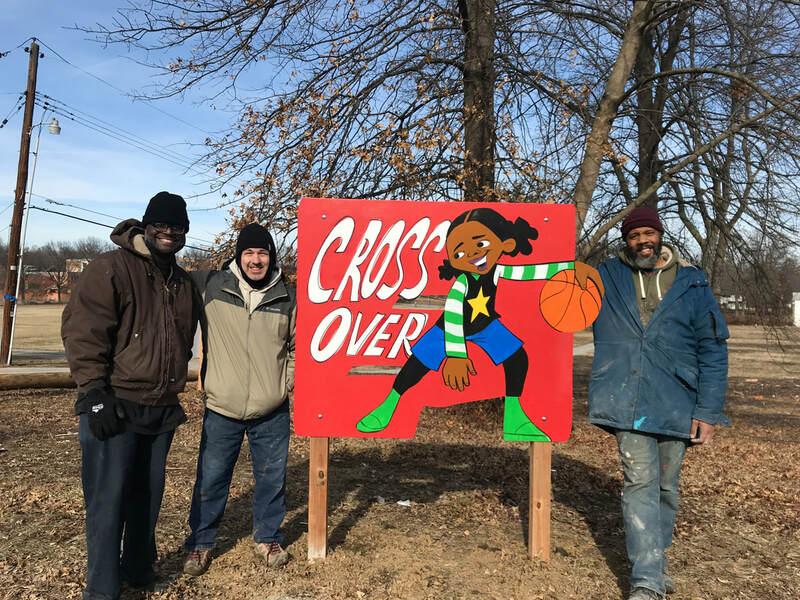 In the Fall of 2018, students worked again with Cbabi Bayoc to design mural-esque sculptures to install on once-vacant lots adjacent to Carter Park and the school. These sculptures were installed in February 2019. Landscape improvements are coming soon! Students in an all-girls, after-school and summer-school program offered by the Throwing and Growing Foundation, a non-profit operating out of St. Matthew's Lutheran School (closed) on Wren Avenue, have been exploring ways to reuse open space to grow food. 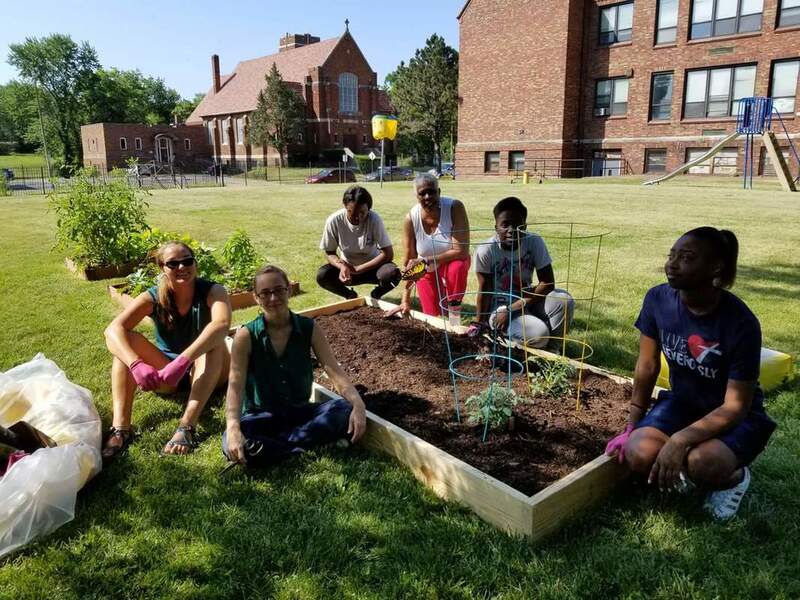 Through a series of field trips in April 2018, the girls learned about urban agriculture, community gardens, and outdoor classrooms, and then explored vacant lots surrounding their school and created designs for a community garden and outdoor classroom of their own. 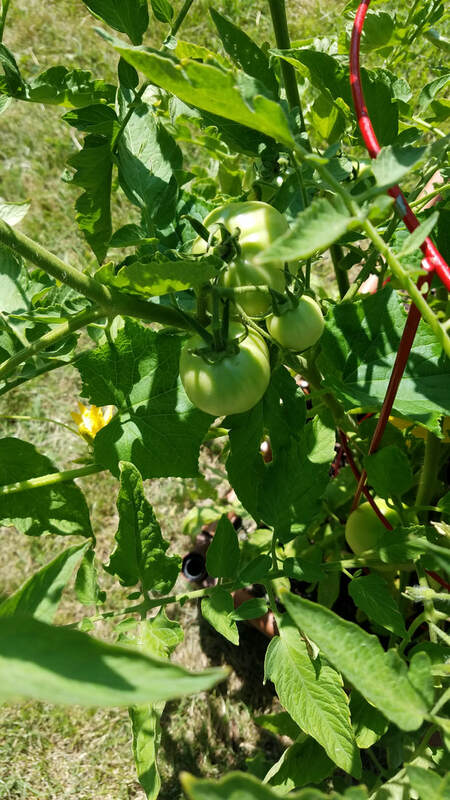 Currently, Throwing and Growing have installed 3 raised beds on the school property, to learn more about the responsibilities of maintaining raised beds and garner more community supporters, before working toward a larger community garden on a nearby vacant lot. To get involved, contact Myrle Mensey, Throwing and Growing Executive Director, at throwingandgrowing@gmail.com.